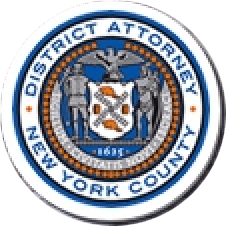 Manhattan District Attorney Cyrus R. Vance, Jr., today announced the guilty plea of FRANKLIN REYES, JR., 18, for the death of Ariel Russo and two other incidents, including an attempted escape from police which left an officer seriously injured. The defendant pleaded guilty in New York State Supreme Court to the top charges in the indictments against him, Manslaughter in the Second Degree and Assault in the Second Degree, as well as additional charges of Unlawful Fleeing of a Police Officer and Escape. He is expected to be sentenced on March 25, 2015. As admitted in the defendant’s guilty plea and according to documents and statements made on the record in court, on June 4, 2013, at approximately 8:15 a.m. REYES, despite never having obtained a driver’s license, was driving his family’s car on Columbus Avenue near West 89th Street where he made an illegal right turn, causing police to stop him. REYES pulled over, but as police officers were walking towards the vehicle he sped off, driving approximately eight blocks north and one block west. While attempting to turn onto West 97th Street, the defendant’s car mounted the curb, striking four-year-old Ariel Russo and her grandmother. Ariel Russo was taken to St. Luke’s Roosevelt Hospital, where she was pronounced dead upon arrival. Her grandmother suffered serious injuries, including several broken bones, causing her to be hospitalized. On August 31, 2014, REYES was again driving without a license on West 181st Street near Amsterdam Avenue when he made an illegal left turn. Two uniformed police officers pulled the defendant’s vehicle over and approached, ordering him to put the vehicle in park. When REYES refused, one of the officers reached inside the vehicle in an attempt to put it in park. The defendant then drove away, dragging the officer approximately 100 feet. REYES crashed his vehicle into another vehicle on West 179th Street and pulled into a parking lot, nearly striking a pedestrian. When a police officer attempted to arrest REYES, he refused to follow the officer’s demands to get on the ground and put his hands behind his back. While in custody on September 5, 2014, REYES complained of chest and leg pains and was taken to New York-Presbyterian Lower Manhattan Hospital. As investigators led him to a waiting van after his release from the hospital, REYES ran away. Following an approximately 10 to 15 minute chase, investigators apprehended the defendant two blocks away, at the corner of Platt and Gold Streets. Assistant District Attorneys Vera Varshavsky and Chidinma Ume handled the prosecution of the cases, under the supervision of Assistant District Attorney Eugene Porcaro, Chief of Trial Bureau 30, and Assistant District Attorney William Mahoney, Chief of Trial Bureau 60 and Executive Assistant Attorney John Irwin, Chief of the Trial Division. DA Vance also thanked the NYPD for its assistance with these cases.